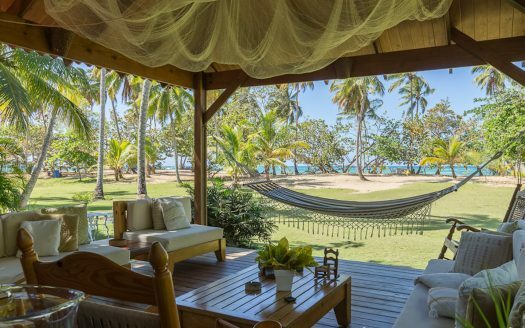 Villa P – 5 bedrooms for 12 adults + 3 kids. Las Terrenas – Esperanza Residence – El Portillo. 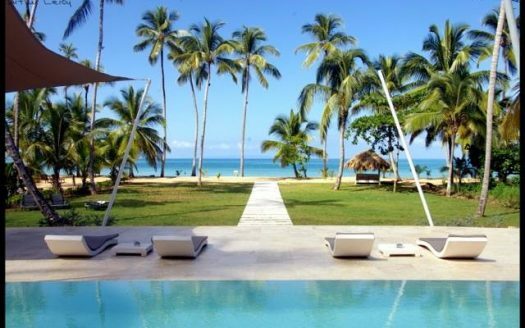 Luxury modern style villa with ocean views perfect for a larger group of family or friends. Located inside Esperanza Residence gated community. 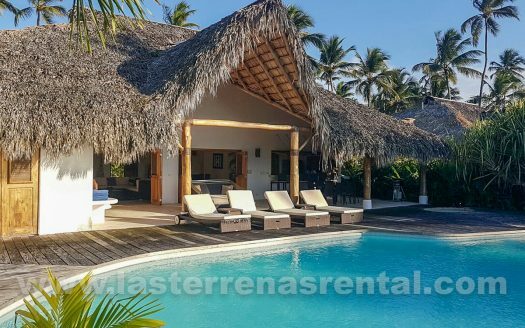 Esperanza Residence is a safe private gated villa community in El Portillo, east of Las Terrenas. Has its own (almost) private beach, tennis courts, and green zones. Quiet area. The villa is an owners villa which means that this villa is fully equipped. 4 bedrooms for in total 12 adults and 3 kids. All bedrooms have airco installed and their own private bathroom. Outdoor living is important so very comfortable outdoor terrace with lounges, dining, pool (no salt but chlor system) and jacuzzi/kids pool. Of course a bbq. Internet and tv/satellite and sound system to connect to. Inside and outside music. Fully equipped kitchen. In case of a blackout, there is an electricity backup system (airco’s are NOT connected to this system). And solar panels. Daily maid service from 9am – 3pm. Also on Saturdays and Sundays. Security deposit 1000 usd. Which will be returned 72 hours after check-out if no damage or no excessive electricity use).